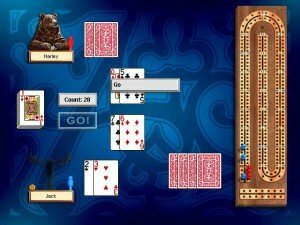 A friendly game of Cribbage with a talking bear. 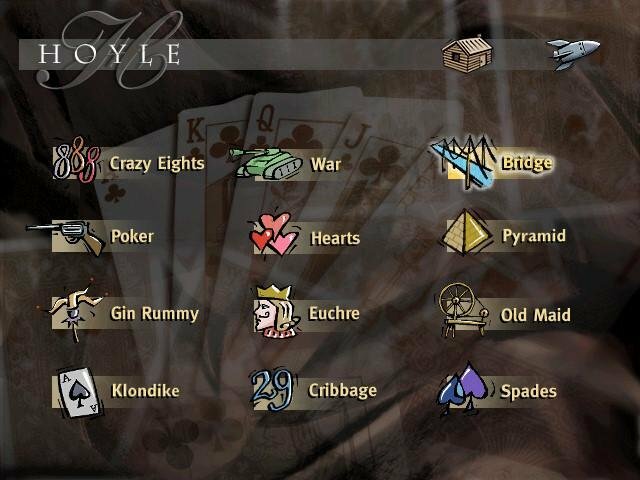 Hoyle’s ’97 card game compilation is familiar to Classic Board Games. Not in the sense that you’ll find Chess or Checkers bundled here, but rather in the interface, sounds, visuals and customization. 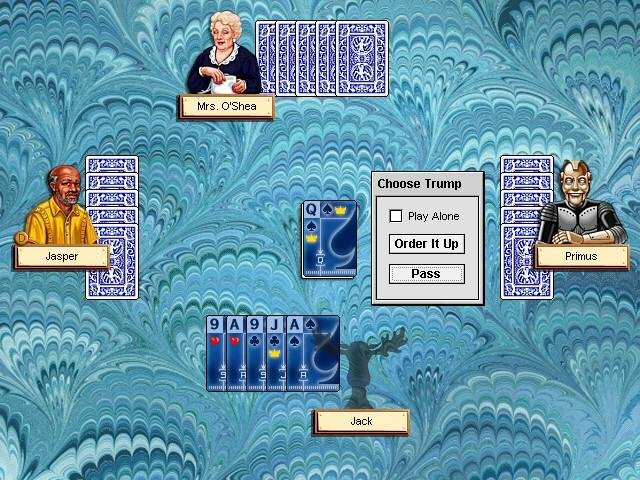 This form of imitation is actually to the game’s benefit, as Classic Board Games was quite an impressive package overall. Again you have a choice between a simple but functional home menu listing, a cozy cabin (with seasonal changes outside) that serves the same purpose, or a zany spaceship. 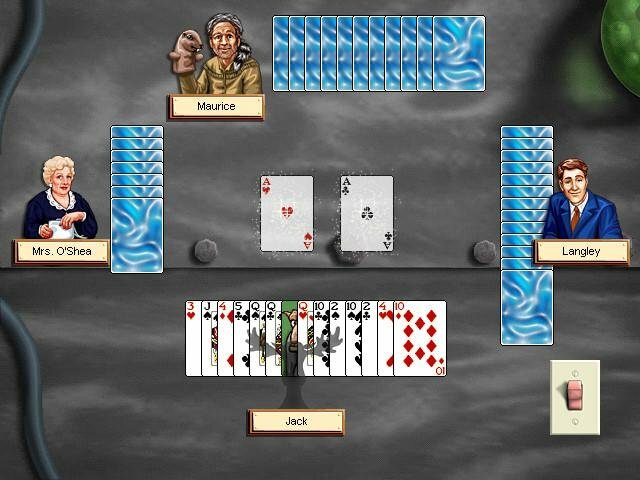 It’s worth noting that all of the card games found here go by their real-world names and rulesets, since neither War nor Poker have ever been definitively licensed. 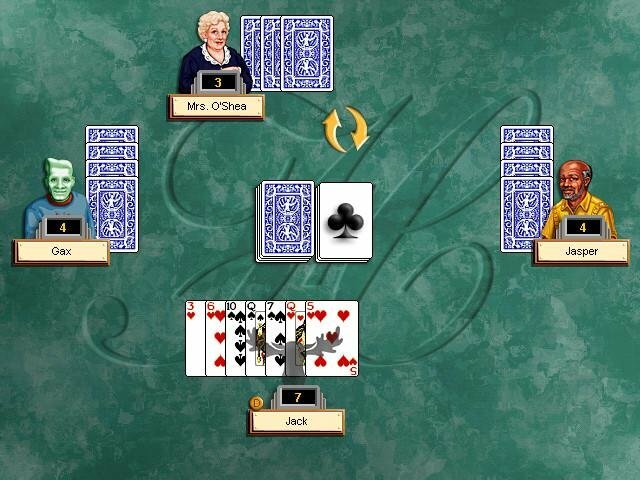 As always, you get the prerequisite tutorials for each game in the help file, an added convenience for beginners. 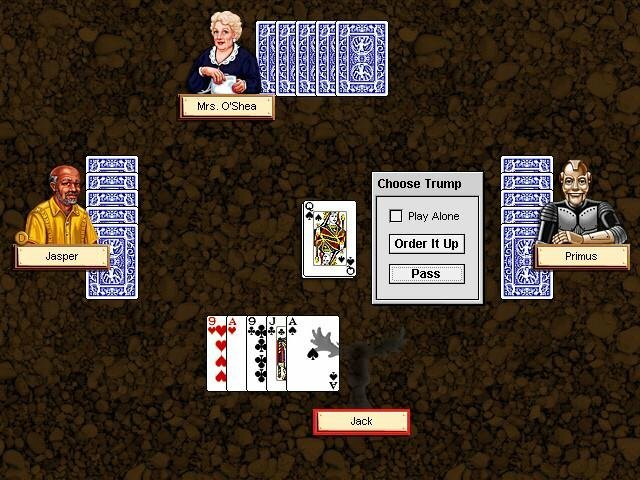 The package has a collection of twelve card games: Crazy Eights, War, Bridge, Poker, Hearts, Pyramid, Gin Rummy, Euchre, Old Maid, Klondike, Cribbage and Spades. They’re not all as complex as you’d think. War is simply a matter of flipping a card higher than that of your opponent, and all you do is click on your deck till one side runs dry (you take the other guy’s card when your is higher, steadily thinning out his deck). You might have even played some of these games without even being aware of it. 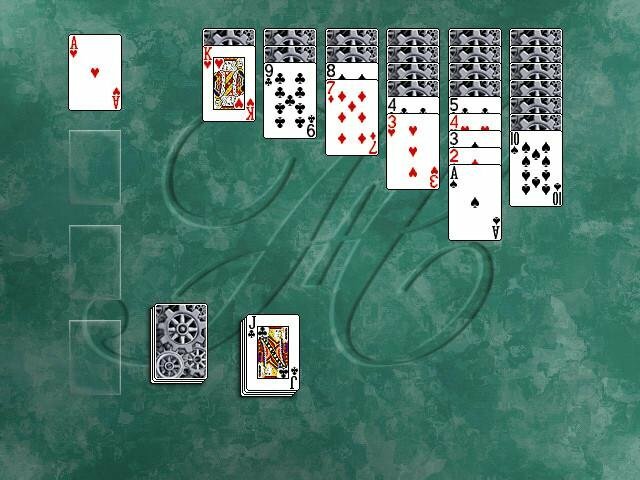 Crazy Eights, a game that originated in China, plays a lot like Dominoes, with the object of discarding your cards in a central, matching deck and with eights acting as wildcards. 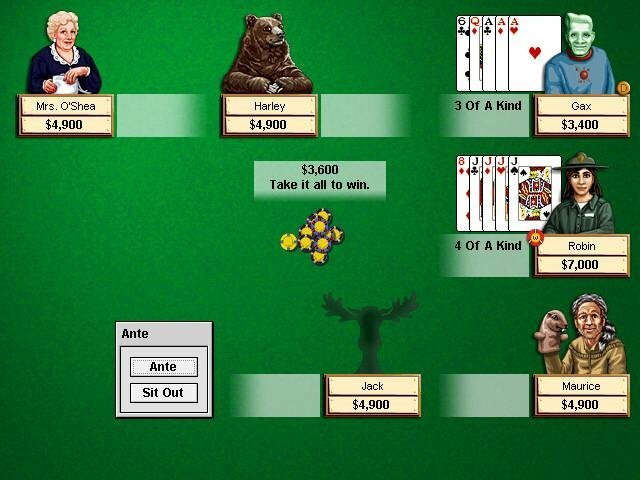 Poker, played only in 5 Card Draw, has an added betting system for it to work, handing you a sum of $5000 for each session (this figure always resets, making previous earnings or losses irrelevant). 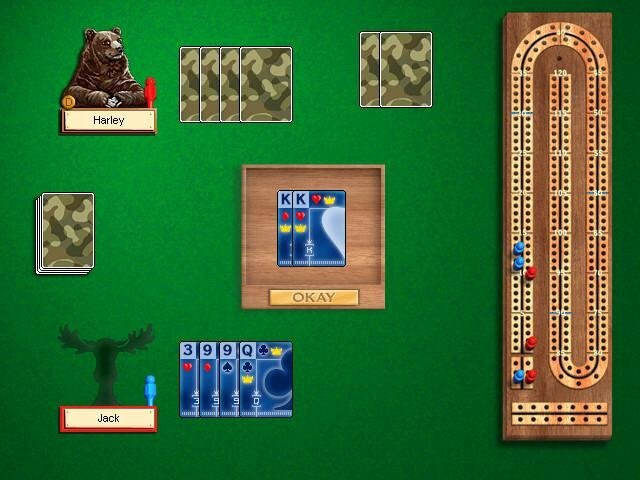 Cribbage traces its origins to 17th century Britain and is a cross between a card and board game. 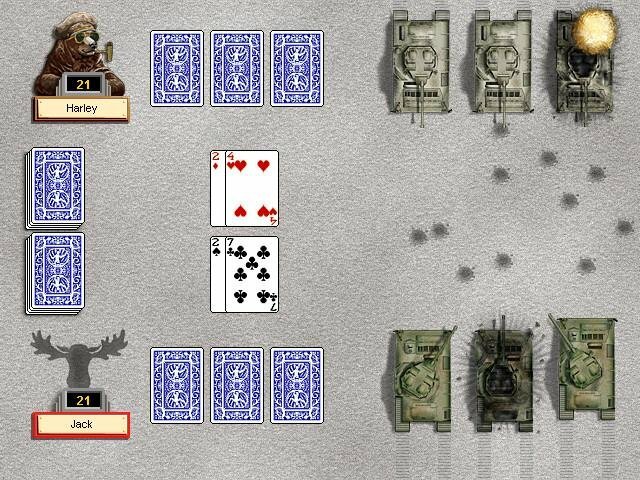 Klondike is essentially a Solitaire game with a few added restrictions. 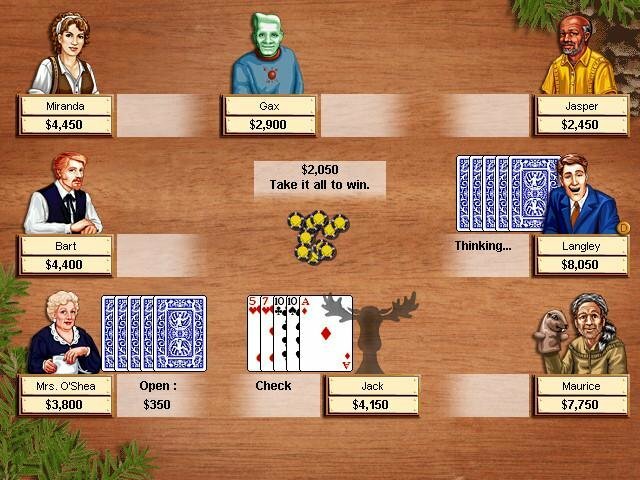 There’s little not to recommend here outside the limited Poker variations, which could have at least included Texas Hold ‘Em. It’s also a shame the package couldn’t expand beyond the Atlantic, including European or even more obscure Asian card decks and games. 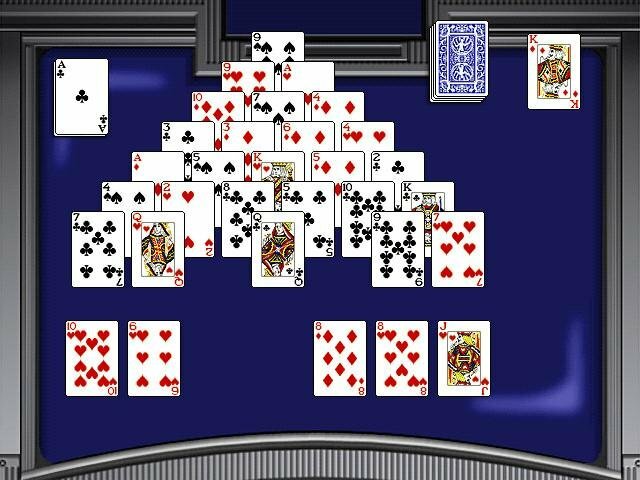 Still, there’s plenty of material here for players to better their card playing skills, and it’s an overall pleasant package. 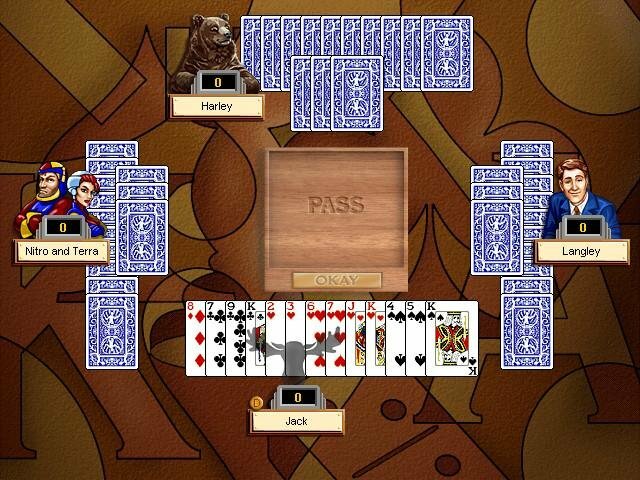 I WOULD LIKE TO BUY 5 ACE POKER. DO YOU HAVE THAT IN CD?